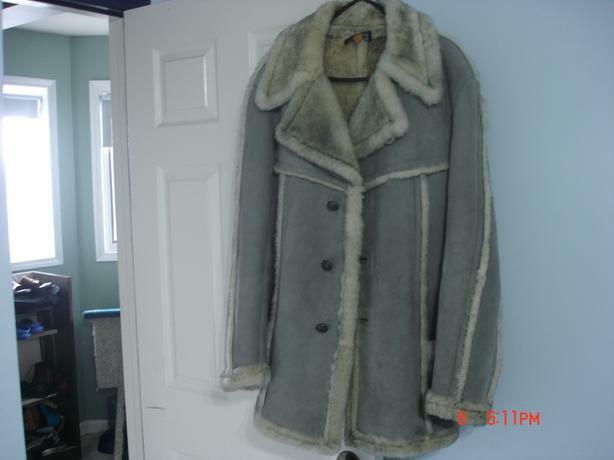 Men's Grey Sheep Leather Coat in excellent condition. Size Medium Tall. Lined and very warm. Not even broke in yet with very well made double lined seaming and reinforced stitching.